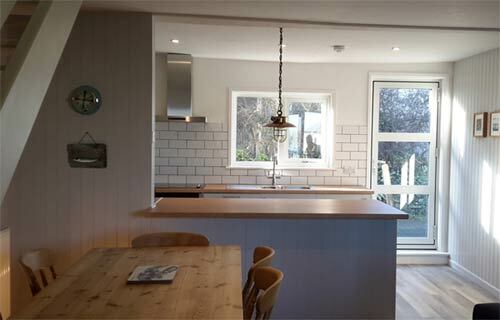 Dolphin Cottage Sleeping up to 6 people - a tranquil holiday cottage in Port Isaac, with sea views. 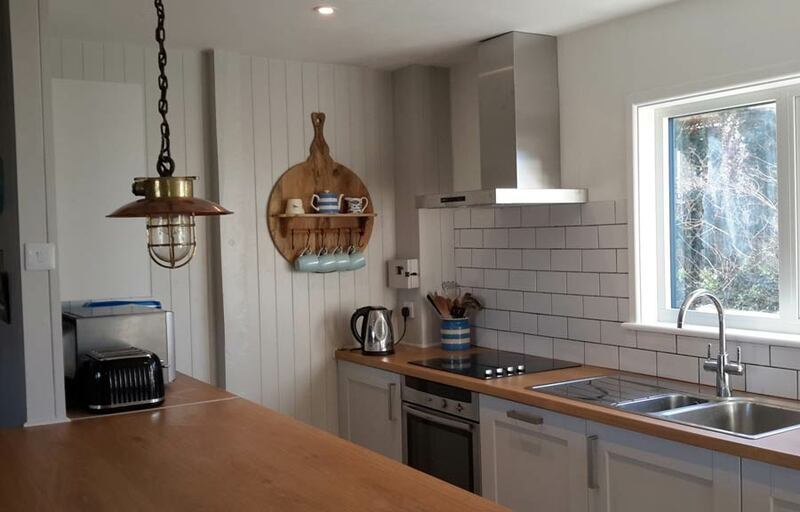 Holiday Cottage in Port Isaac, sleeping 6 people, Dolphin Cottage is a cosy, 3 bedroom, holiday cottage with sea views, only 5 minutes walk from the harbour, pubs and restaurants including Nathan Outlaw's Fish Kitchen. 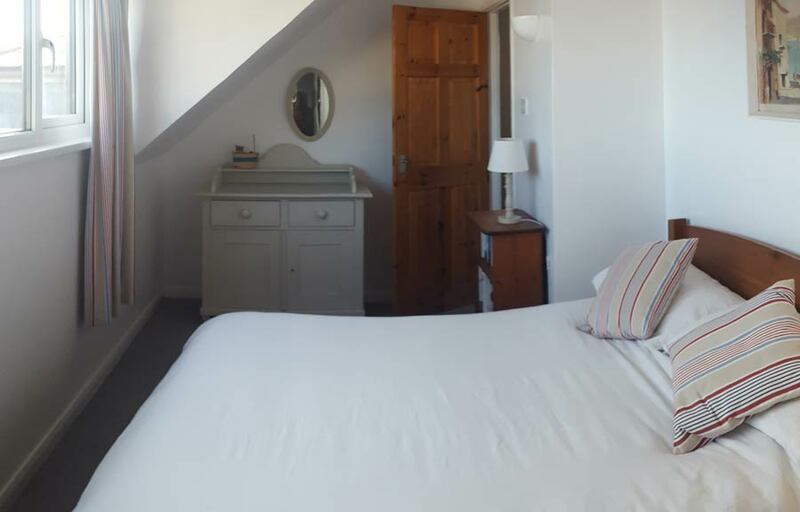 Dolphin Cottage, is situated at the top of Port Isaac village thus avoiding the narrow, one-way lanes down to the harbour and has the rare benefit in Port Isaac of parking for 2 cars at the property. 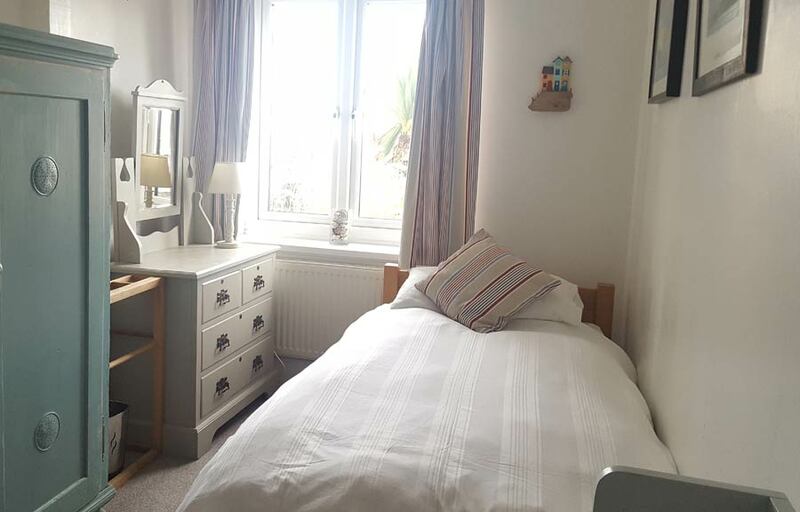 Stylishly decorated with a coastal theme throughout, there are sea views from the master bedroom, a twin bedroom also upstairs and a second twin bedroom downstairs providing easy access for elderly relatives, where the bathroom is also situated. There is a separate toilet upstairs. There is a patio garden area for outside dining Sky TV including Sky Sports and WiFi. The historic village of Port Isaac, remains a stunningly picturesque, quintessentially Cornish fishing village, with a 600 year fishing heritage, with 18th and 19th century cottages snaking their way down to the harbour. Recently made famous across the globe as the home of Doc Martin, it features range of gift shops, including a pottery, a fishmonger selling the local fishermens' daily catch, a bakery providing delicious cornish pasties and particularly good restaurants and cafes serving locally sourced produce and seafood. The Golden Lion, an 18th Century pub full of original character with a rich seafaring history and a smuggling tunnel onto a causeway on the beach, sits on the harbour. Rock pools can be explored at low tide for crab fishing and dogs are allowed on the beach all year round. There is a sizeable Co-op supermarket within 5 minutes' walk of the cottage, open daily until 10 pm with a cash machine. The South West Coastal Path passes through Port Isaac, with breathtaking cliff-top views for walkers. The nearby cove of Port Gaverne is 5 minutes' walk away, a great spot for swimming and the award winning 17th Century Port Gaverne Hotel and Restaurant. 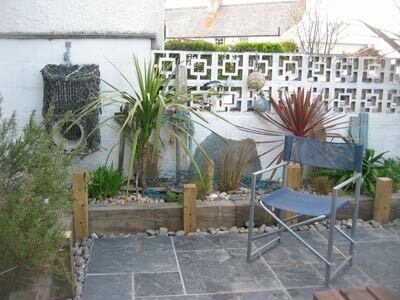 It is an ideal location for many of North Cornwall's coastal attractions including surfing at Polzeath (10 mins away) and Watergate Bay further down the coast, Rock for water sports, Padstow home of Rick Stein's restaurants and cookery school, Boscastle and Tintagel, mythical home of King Arthur. First class golf courses are a short drive away, including Trevose in Padstow, Bowood in Camelford and the famous St Enodoc in Rock.